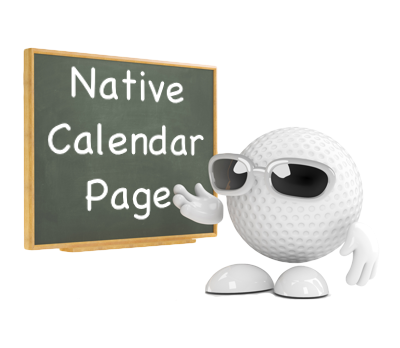 The 'Native Calendar' page allows your Club to create events with different categories (e.g. all day event). 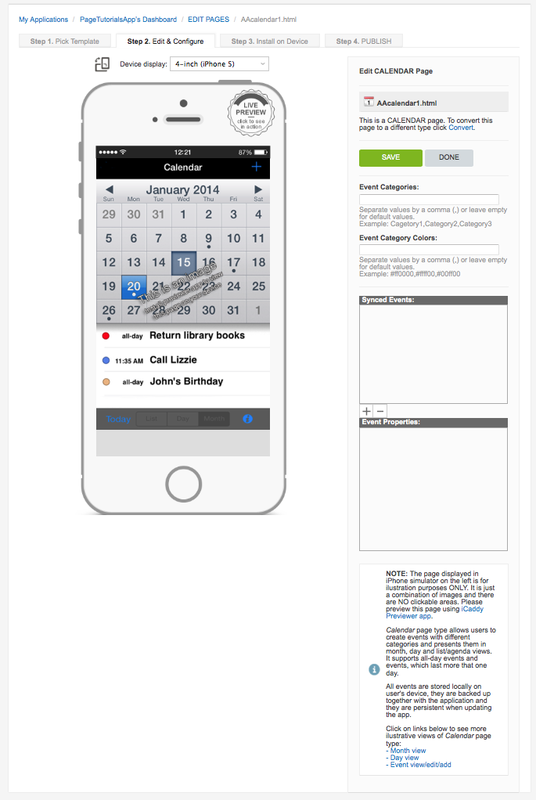 App-users can view these events on their device in month, day, and list formats. This is a great way for Clubs to post information about tee-off availability, course-closure, special promotions etc. The calendar function provides an easy way to convey date-specific information to your customers and a means to increase productivity for your Club. For information on how to edit this page type, go to How to Edit Calendar Events. Note: This page type is included in all iCaddy App templates.